Just like corded phones, corded vacuums are now a thing of the past. Dyson is a pioneer in vacuum cleaners – first creating the bagless vacuum and now putting an end to corded vacuums forever. 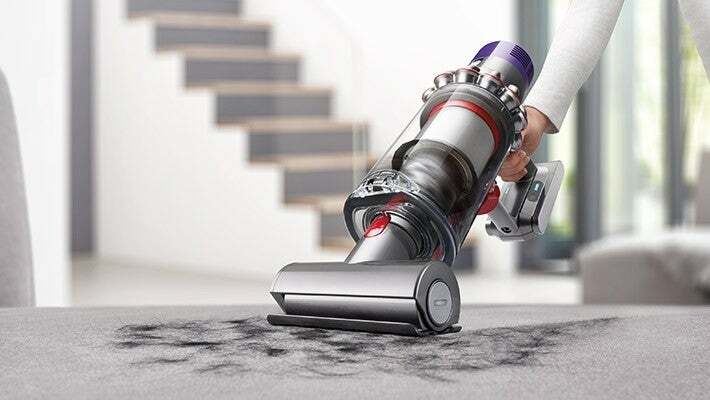 With standard cord-free vacuums having limitations relating to run-time and suction power, Dyson is revolutionising the industry with its Cyclone V10 range. But it comes at a high price. Is it worth it? Read on for Canstar Blue’s review. What is the Dyson V10? The V10 cord-free vacuum is stated to be Dyson’s fastest and most powerful cordless stick vacuum with the suction power of a full-sized vacuum. While standard stick vacuums are marketed towards the small cleaning jobs and hard-to-reach areas, Dyson boasts its Cyclone V10 range as the one stop vac for the whole house. 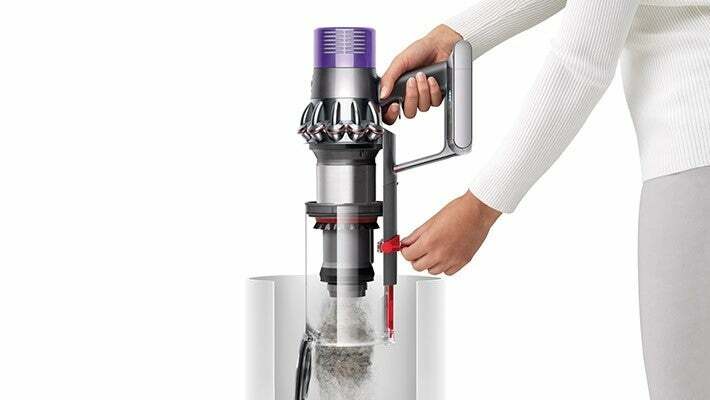 How does the Dyson V10 work? The Dyson V10 uses an improved motorised motor that provides a maximum spin speed of 125,000RPM, making it the fastest in the Dyson range and 20% more powerful than the previous V8 model. Its ceramic shaft is boasted to be three times harder than steel but with half the density, giving it a total weight of 2.68kg. While many other brands also boast lightweight models between two or three kilograms, the Dyson V10 is half the weight of its predecessor. When compared to the first generation V2 vac, the V10 power to weight ratio has increased over three times. Noisy or not, the V10 Cyclone cleans up a treat in this Dyson promo video. Though, who actually lets their floors get that dirty in the first place?! The V10 “energy-dense” lithium-ion battery has had one more cell added – totalling up to seven. It’s claimed to run at a higher voltage and create more power while maintaining a light weight with smaller sized cells. It also has innate LED system diagnostic and altitude sensors that enable it to automatically optimise output power. The total run time is claimed to be “up to 60 minutes” (this applies to the powerful suction mode with non-motorised tool attached). Currently, the standard suction time of cord-free vacuums in the market is about 40 minutes for the big name brands and about 20 minutes for the more budget friendly models out there. This time decreases significantly when used on high power modes. How much does the Dyson V10 cost? There are currently two V10 vacuums in the range – the Dyson Cyclone V10 Absolute+ and the Dyson Cyclone V10 Animal. The Absolute+ has a slightly higher price but comes with two cleaner heads and six tools, while the Animal only features one cleaner head and just four tools, reducing the price by $100. The tools included with the V10 Animal are a combination tool, crevice tool, mini motorised tool and soft dusting brush. Should I buy the Dyson V10 vacuum cleaner? If you’re looking for a cord-free vacuum that aims to provide extended run time and powerful suction for the whole house – not just one bedroom, then the Dyson V10 might be one to consider. 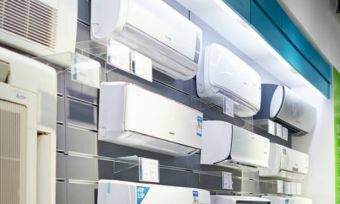 However, with a price tag of almost $1,000, it may be worth weighing up the cost compared to a standard full-size corded vacuum to see if you really need this latest improvement. While it’s no fun to lug a traditional cylinder vac around the house and re-plug from room to room, you’re bank account may also not enjoy the hit. In due time, we may see more brands jumping on the bandwagon to increase competition and to help decrease the price. But for now, Dyson’s best vacuums command a hefty price. 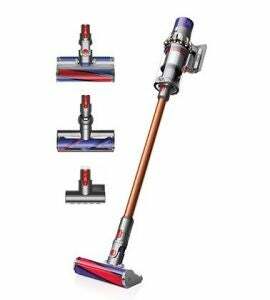 With this new release, make sure to keep an eye out for sales of previous models, such as the Dyson V8 Absolute. While not as powerful and long-lasting, it still packs a punch as far as handstick vacuums go. You may also like to consider online ratings – such as ours – to see how Dyson competes with other big brands in terms of effectiveness, ease of use and value for money.